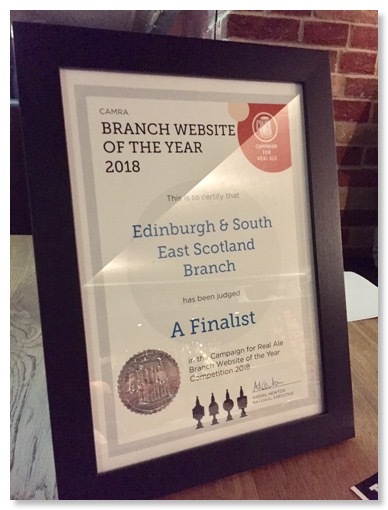 We are very pleased to report that this website was one of 15 finalists in the 2018 CAMRA Branch Website of the Year competition! Some of the credit must of course go to Roger Preece, who established the website in its current general format and managed it prior to your current webmaster taking over. 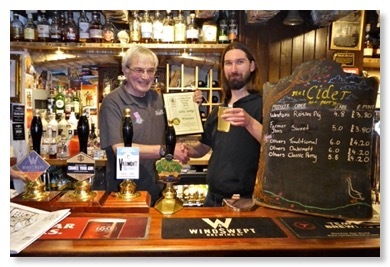 Congratulations to the Jolly Judge, Lawnmarket - after winning the branch Cider Pub of the Year award, they have also won Cider Pub of the Year 2018 for the Scotland and Northern Ireland CAMRA region. Well done!